Why the serpent? The art of tracing in instrumental manufacturing, technical drawing applying the rules of acoustics and cutting wood are all aspects that contribute to a good acoustic instrument. It could have been a clarinet, but I met the serpent through playing the tuba. Once I was contaminated by the virus, some musicians made my case worse and invited me to join the musician to the wood artisan that I am. 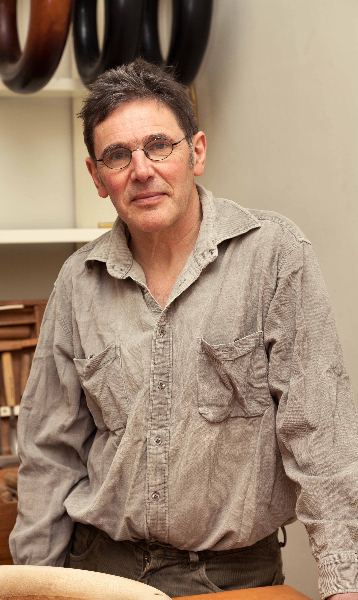 I think of Christophe Morisset, who has encouraged and supported me without respite even in the moments of uncertainty inherent to this project. He proposed me to contact Michel Godard through who I could work from a good instrument. 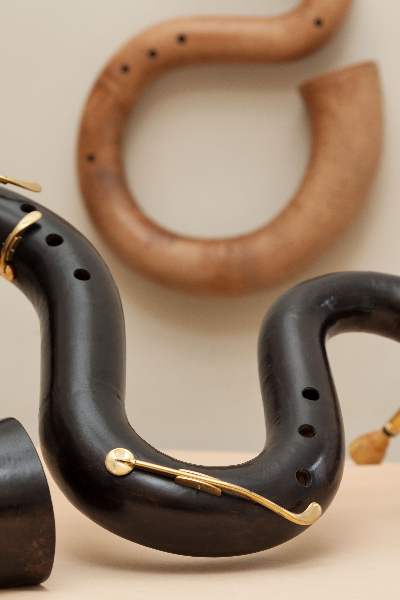 Patrick Wibart, Volny Hostiou, Jérémie Papasergio,…Since the begining, each meeting with a serpent player is a source of inspiration and intuition for me to continue this project. I take part in trainings and events (historical seminars, trainings in acoustics, fairs,…) that also boost my approach. Meeting people in charge of collections in museums or university departments really passionates me : their heritage and their academical practice every time revive the reflexion and practice around one or another aspect of my work. In this respect, I thank Gery Dumoulin from the MIM of Brussels, and Sandie Leconte, acoustician in the Musée de la Vilette in Paris. 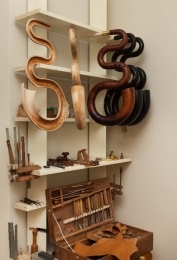 For two years, the contribution from the collections of the Musical Instruments Museum in Brussels also helped me to develop a second instrument inspired by a four keys serpent from the Mahillon Collection. 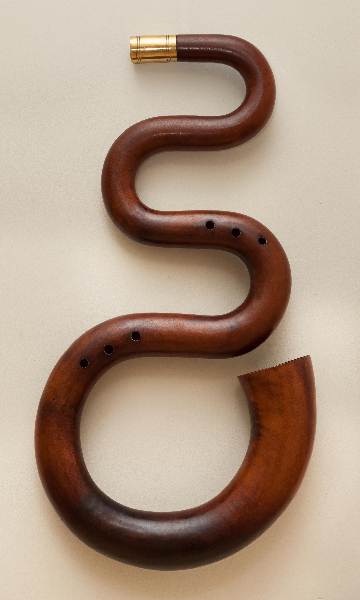 A great success for a chromatic instrument suitable for music of the early nineteenth century. 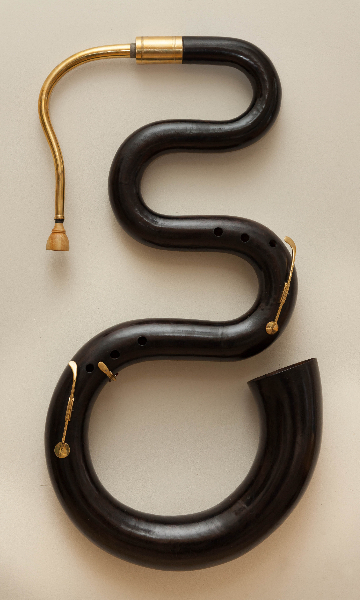 Another contribution from the magnificent MIM : its beautiful drawers contain several mouthpieces. The detailed mesurements were done by Christophe Morisset who sharply examines the sound quality of the obtained results.